Hot or Not? 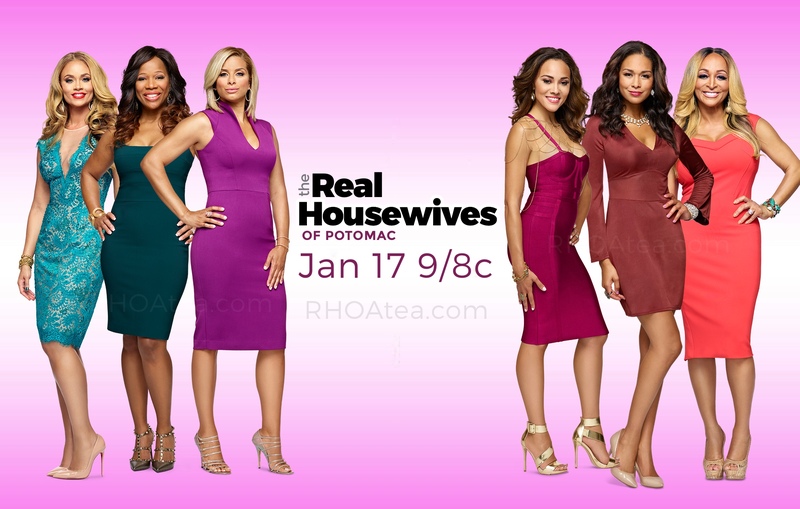 Bravo TV’s The Real Housewives of Potomac! We truly thought Bravo TV was done adding cities and series to its Real Housewives franchise, but after adding Melbourne, Australia and now the little known hamlet of Potomac, Maryland; we see they have no plans of stopping. Sure, the Real Housewives of DC was a flop, but The Real Housewives of Potomac looks like a serious hit for the popular network. The series premiered last night following The Real Housewives of Atlanta. Similar to its predecessor its cast is comprised of African-American women. However, the cast is definitely on the lighter-skinned side with most of the women having a biracial heritage. The show consists of six women; Karen Huger, Gizelle Bryant, Katie Rost, Charrisse Jackson-Jordan, Robyn Dixon and Ashley Darby. Each of the women are married to men with money and/or come from a privileged family. Not only is Potomac where they live it, it is a way of life held together by pedigree, etiquette, and an underlying understanding of how things work. Honestly, I really liked the show. It is not another Real Housewives of Atlanta clone like Married to Medicine or Blood, Sweat, & Heels. Instead we are introduced to a treasured, albeit a somewhat sididdy treasure of a city of affluent African-Americans. It reminds us of the type of town in line with a place like Oaks Bluff in Martha’s Vineyard. Easily, it is Karen Huger who is the leader of this catty bunch; feeling it is her responsibility to teach the next generation of Black women there how to behave. Interestingly, she does not have the pedigree most of the ladies there have. She hails from a farm in Maryland and carries herself with a haughtiness not seen since the likes of Lisa Van Der Pump. However, Gizelle will be the lady to watch. Already her rebellious and earthy attitude are entertaining. She seems to dare to challenge the “Potomac norm.” We just love the showdown between she and Karen in the premiere. The other ladies are pretty okay as well, but Katie is absolutely deplorable! She comes off as an desperate and looking for a man to help her with her three small children. Then there is the fact she only dates White men…unless they are Russell Simmons. That is not a good look Katie, not a good look at all. Just be sure you tune and form your own opinions. It will definitely be worth your time. Catch The Real Housewives of Potomac only on Bravo, Sundays at 9 PM EST. Check your local listings for showtimes.